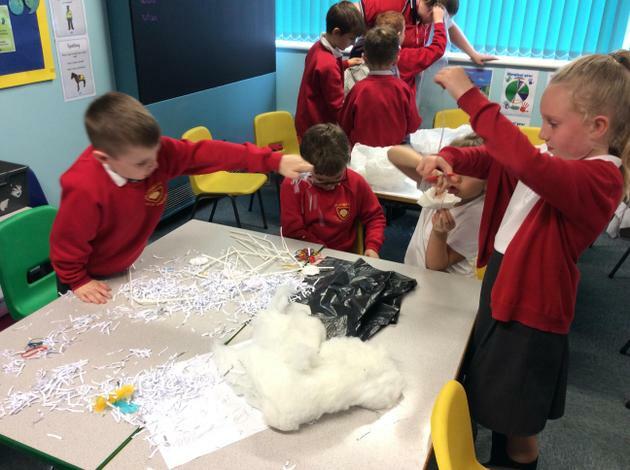 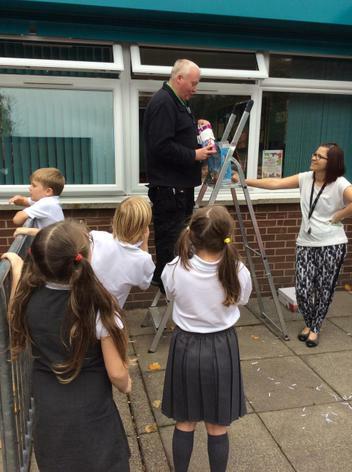 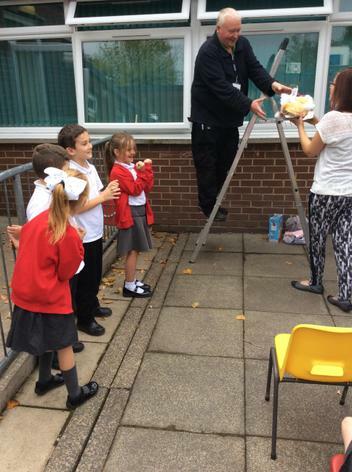 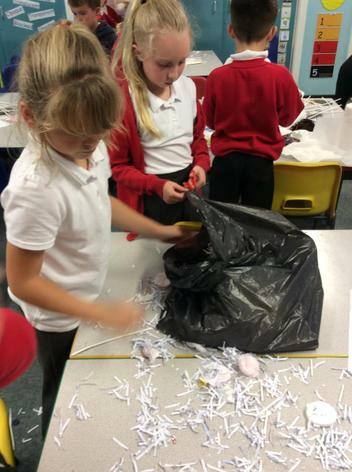 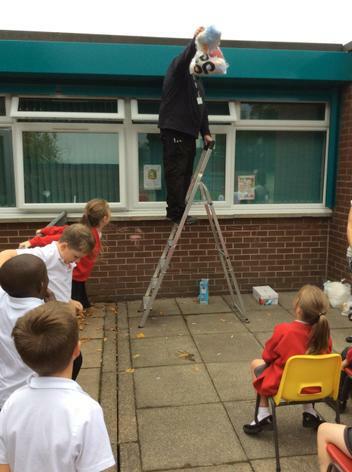 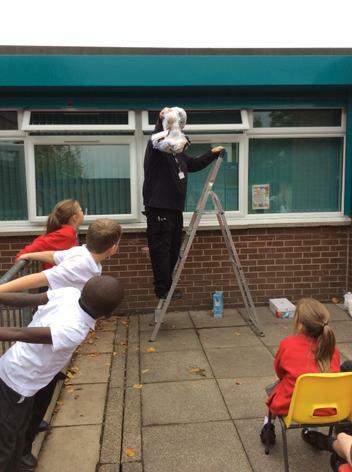 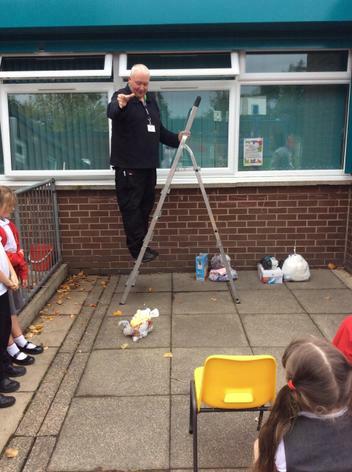 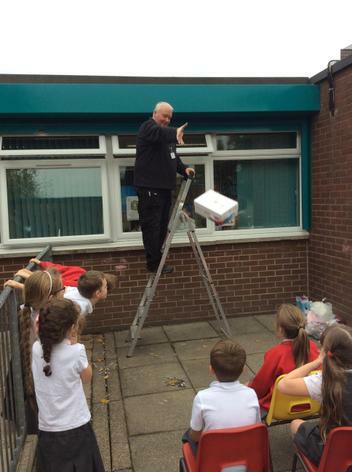 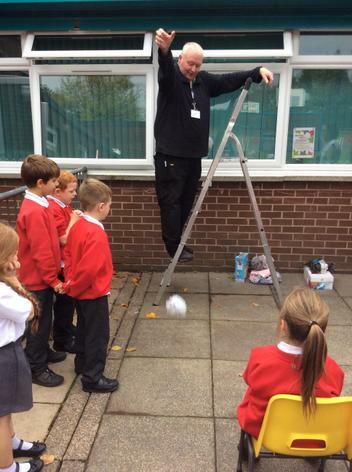 This week, the whole school has taken part in an egg drop challenge. 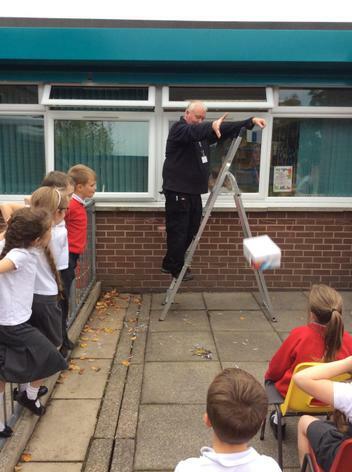 Each class was given a box of eggs and set a challenge. 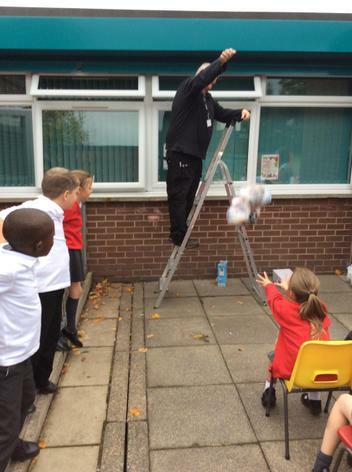 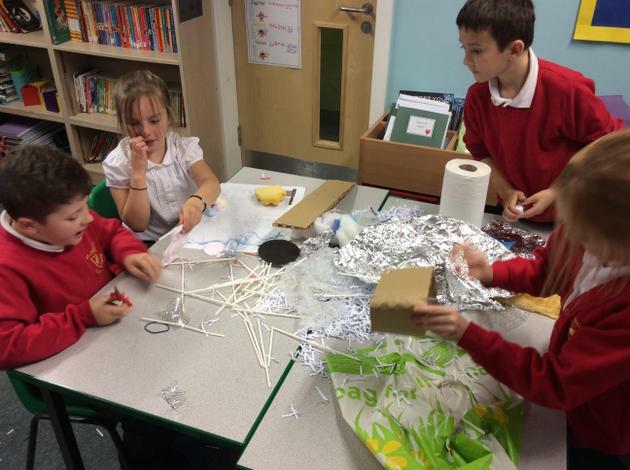 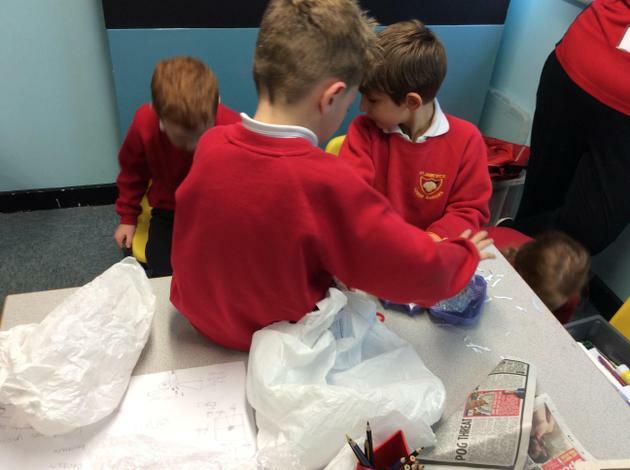 Our challenge was to design and create a way to protect an egg from a fall. 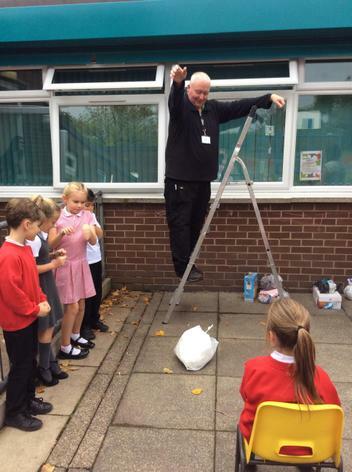 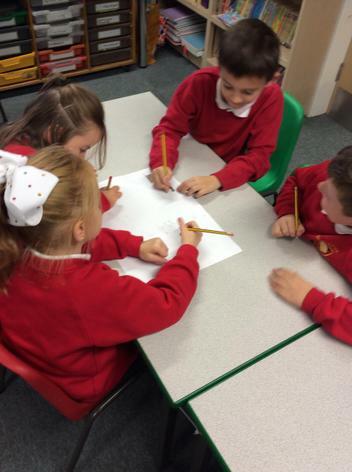 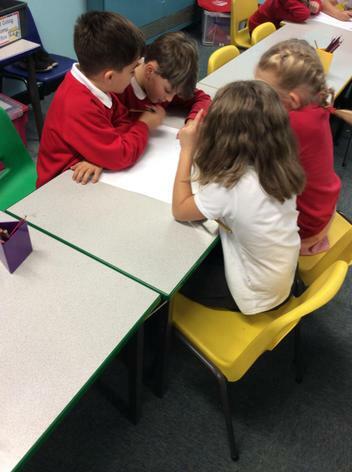 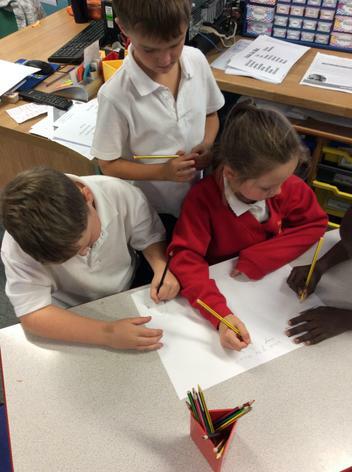 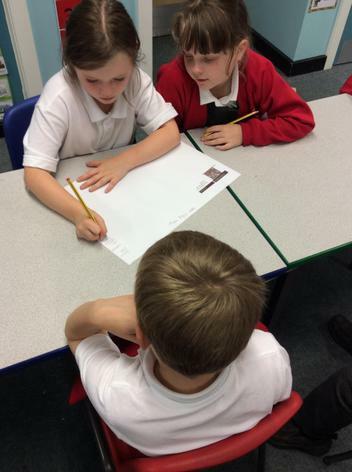 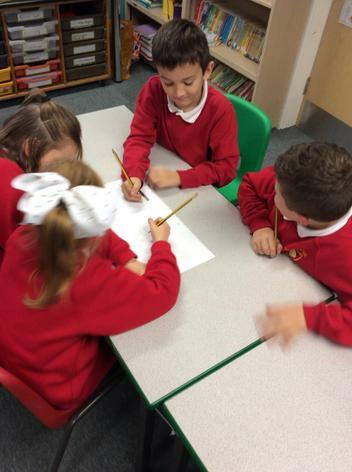 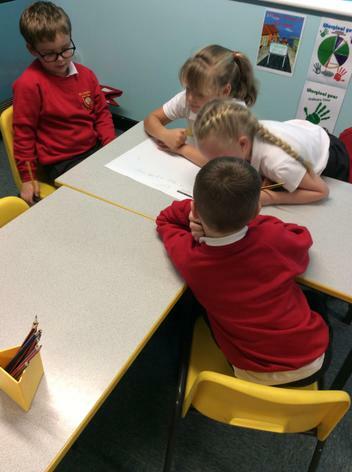 The children set to work planning how they were going to protect their egg from the fall. 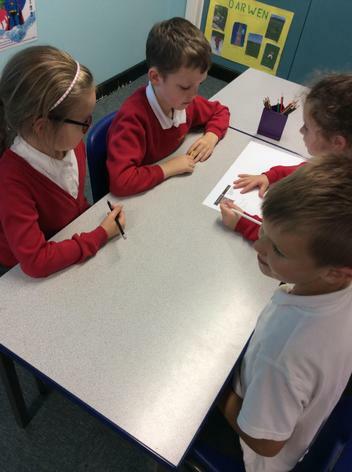 There was some really good scientific talk going on. 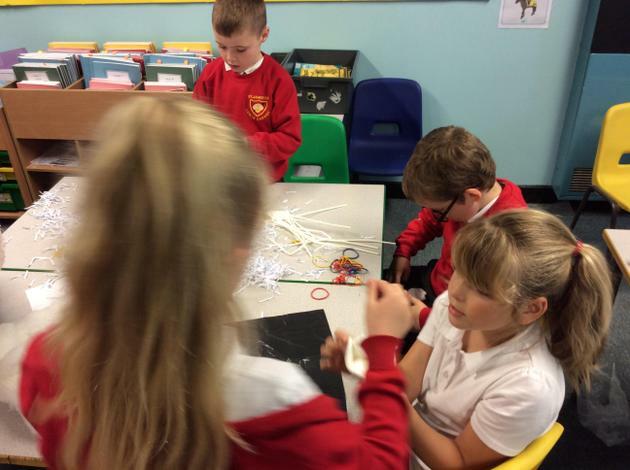 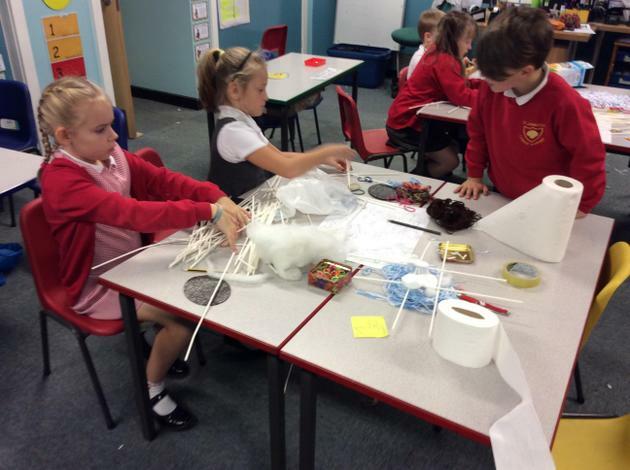 The next afternoon it was time to create our structures in our groups. 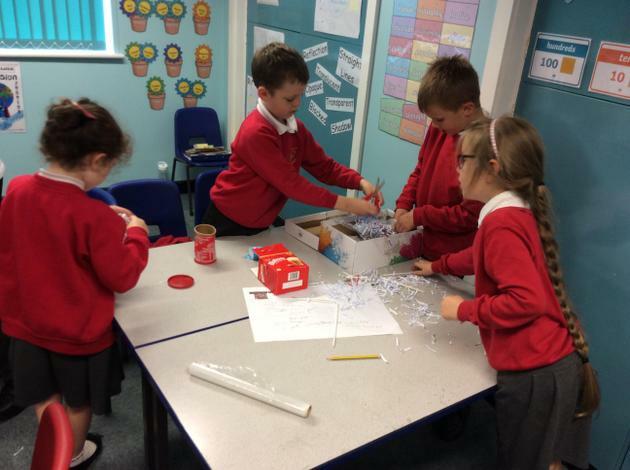 The children worked hard together and there was lots of effective team work skills to be seen! 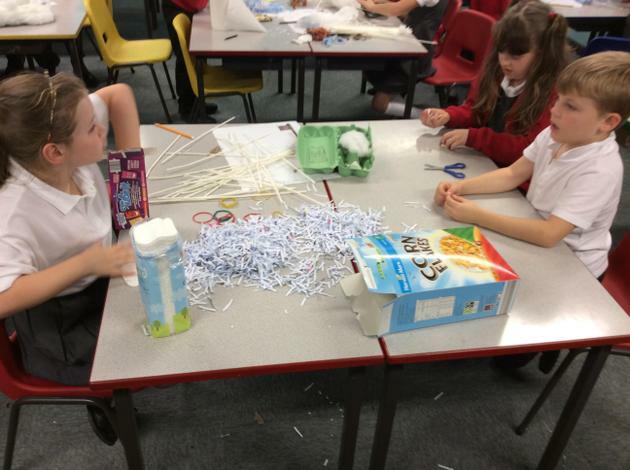 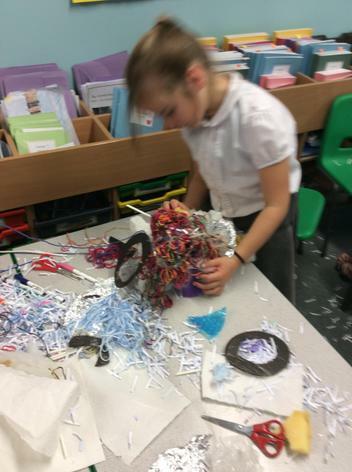 For some reason Miss Bryan thought it would be a good idea to put shredded paper with the available materials in class! 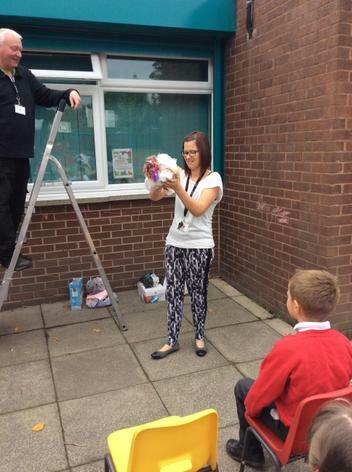 Luckily Mrs Dewhurst and Mrs Rothwell were on hand to hoover up afterwards. 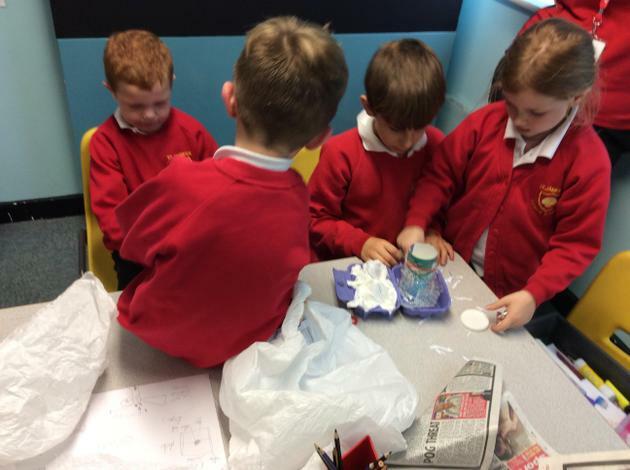 We predicted what we thought would happen with our structures and discussed how well our eggs were protected. 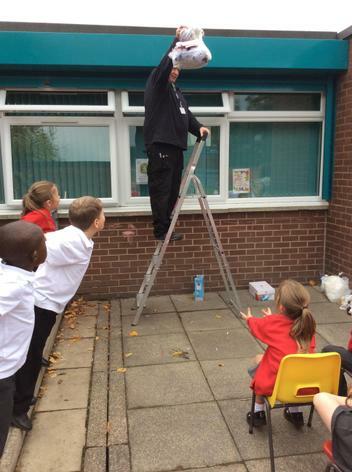 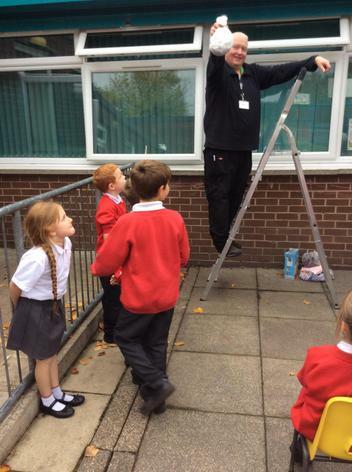 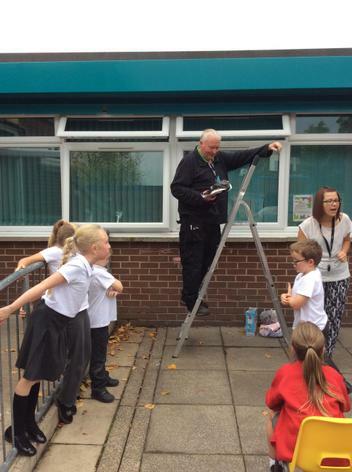 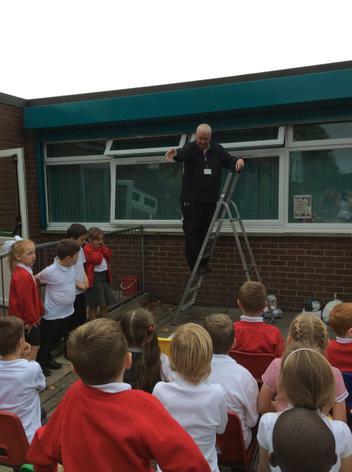 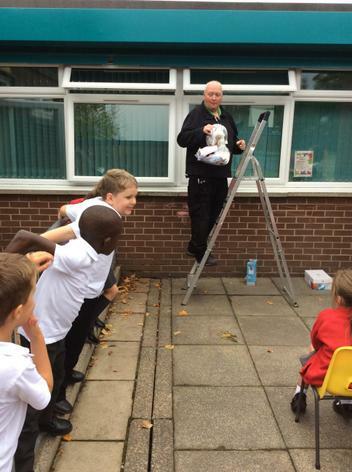 We went outside with Mr Hudson and his ladders to carry out the experiment. 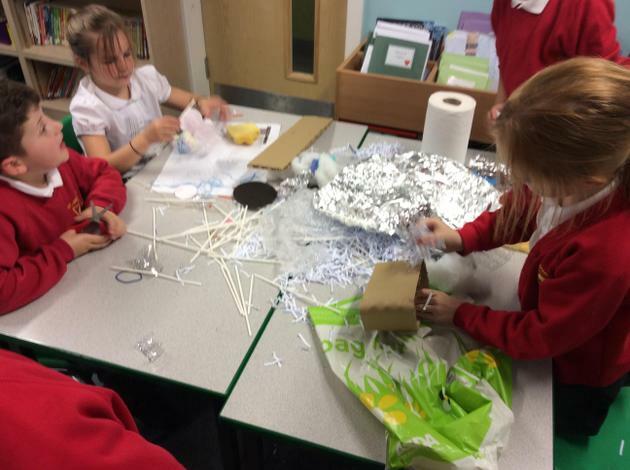 Each team took it in turns to have their structures dropped. 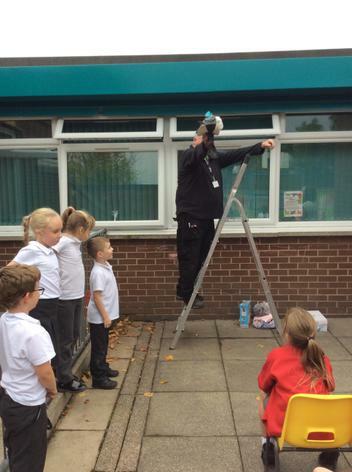 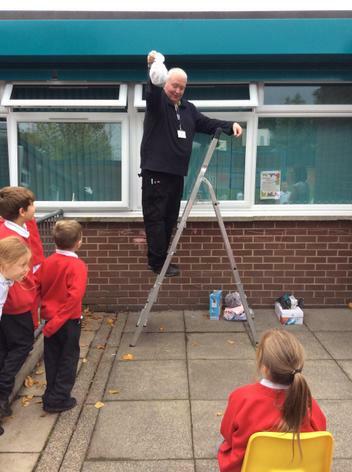 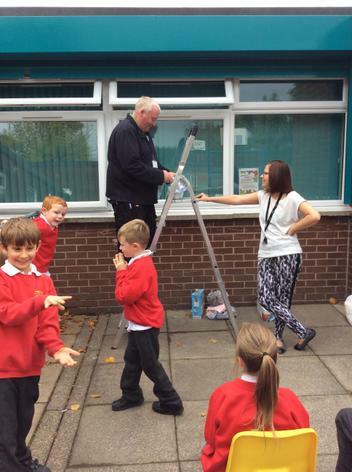 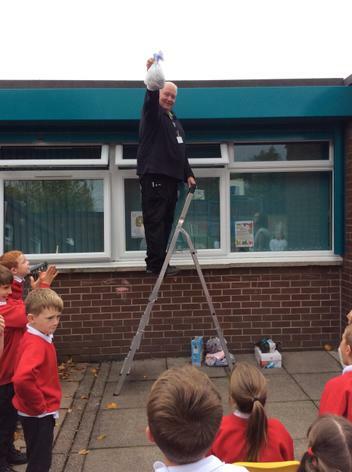 We started on step two of the ladder and Mr Hudson held out his arm and dropped the structure. 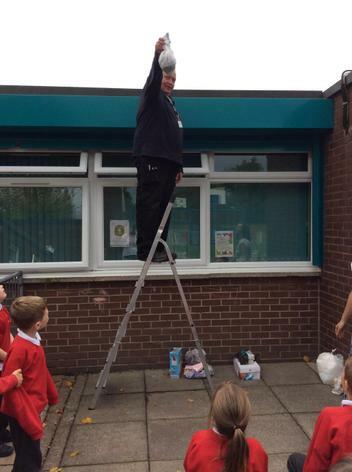 If it survived, it was then dropped from the next step. 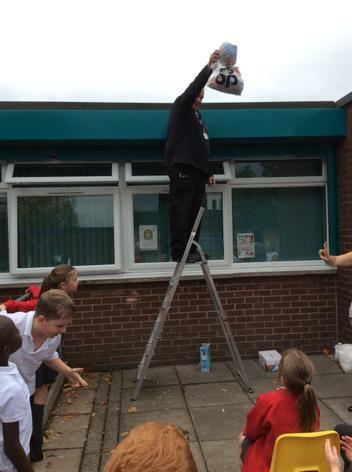 We repeated this if it was unbroken until the top step (6th). 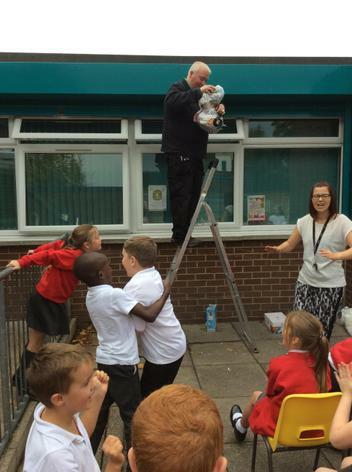 Two of the structures survived from the top step!!! 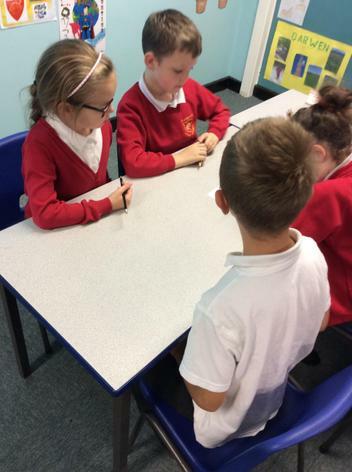 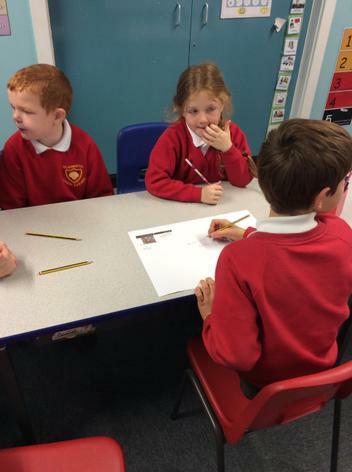 When we went back into the classroom we thought about the results of the experiment. 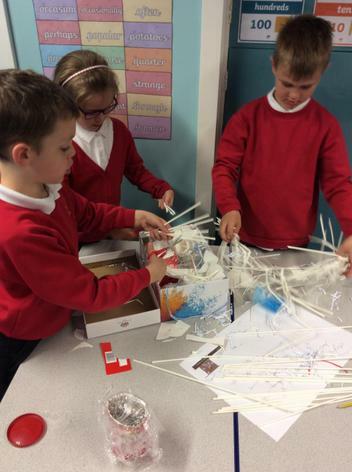 For those structures that didn't manage to protect their eggs well, why didn't they? 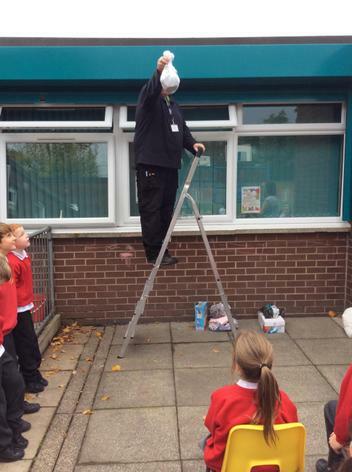 For those structures that did well - why did the egg manage to survive the fall? 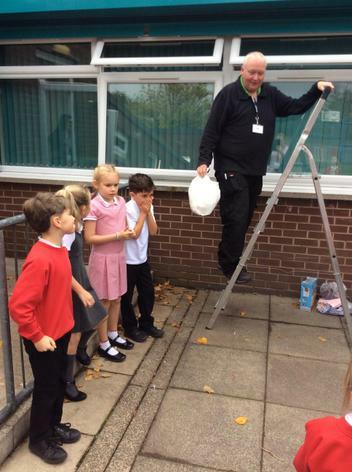 Why was it harder for the egg to survive the fall the higher the drop was? 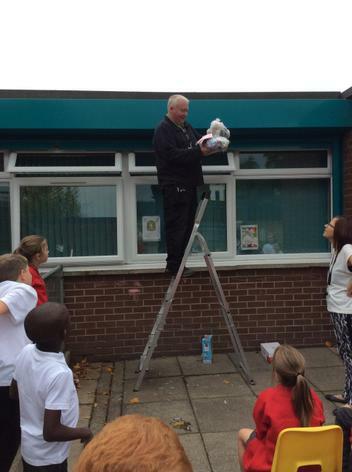 We had a great week completing the egg drop challenge. 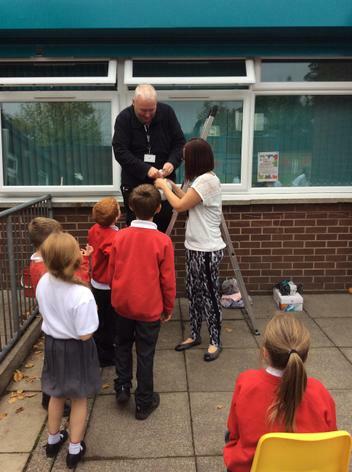 Thank you to Mrs Brown for setting us the challenge! 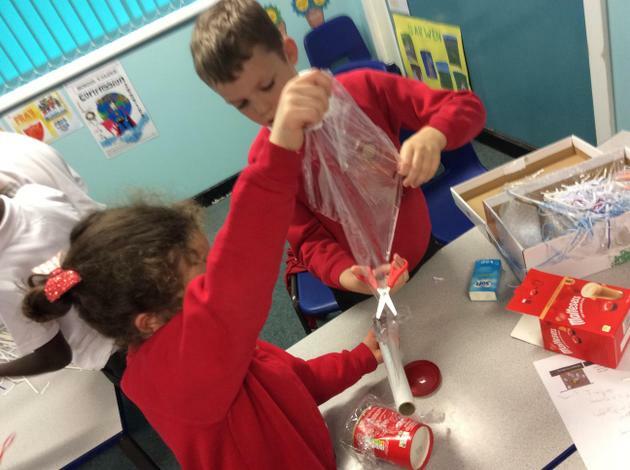 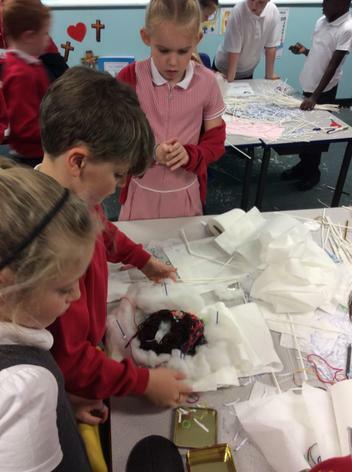 We have lots of budding scientists in year 3!